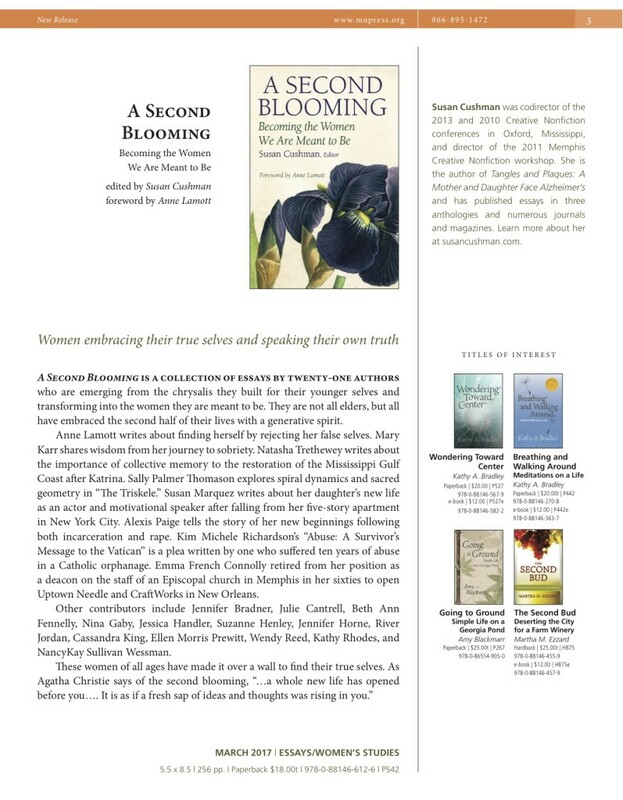 Cover for A Second Blooming is, well, BLOOMING! 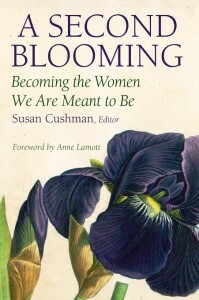 I am so excited to share the cover for my second book to be published in 2017—A Second Blooming: Becoming the Women We Are Meant to Be (Mercer University Press, March 2017). This is an anthology I edited, with essays by twenty wonderful authors and a foreword from Anne Lamott. Can’t wait to see it! If it feels like I’m bombing you with book news, just wait until 2017! I can’t help myself… JOY JOY JOY! I can hardly contain myself! I want to hold it in my hands already!!!!! Gorgeous. And what a year for you! Mazel Tov! So happy to have your essay included here, Nina! Happy New year!!! Thanks, Joanne. I think the press did a great job with the cover, and I’m really excited about the book!